ChildCare Education Institute (CCEI) is an Authorized Entity in the Illinois Gateways to Opportunity Professional Development System. 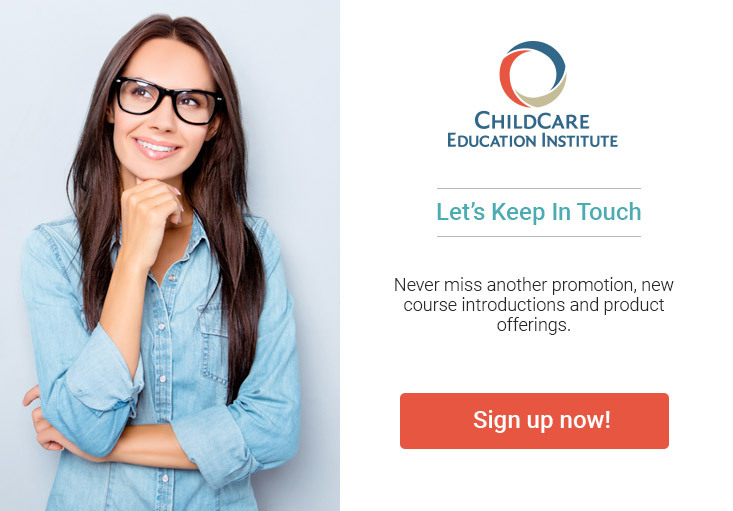 As such, courses offered by CCEI are accepted by the Illinois Department of Children and Family Services to meet annual in-service training requirements and by Gateways to Opportunity to satisfy registry training requirements. For additional information regarding the acceptance of CCEI’s coursework in Illinois, visit the Department of Children and Family Services website or contact them at (217) 785-2509. CCEI’s Director’s Certificate has been approved by Gateways to Opportunity to meet 2 pts. in Personal and Professional Development, 1 pt. in Curriculum or Program Design, 1/2 pt. in Health, Safety, and Well-Being, and ½ pt. in Family and Community Relationships for the Gateways ECE Credential OR 1 pt. in Educational Programming , ½ pt. in Program Operations and Facilities Management, ½ pt. in Leadership and Advocacy, ½ pt. in Human Resources Development, ½ pt. in Legal and Fiscal Management, ½ pt. in Family Partnerships, and ½ pt. in Marketing and Public Relations for the Illinois Director Credential. CCEI’s Early Childhood Credential has been approved by Gateways to Opportunity to meet 1½ points in Personal and Professional Development, 1 pt. in Health, Safety, and Well-Being, 1 pt. in Curriculum or Program Design, 1 pt. in Human Growth and Development, ½ pt. in Observation and Assessment, ½ pt. in Family and Community Relationships and ½ pt. in Interactions, Relationships, and Environments in the Gateways ECE Credential OR 3 pts. in Personal and Professional Self-Awareness, 1 ½ pts. in Program Operations and Facilities Management, 1 pt. in Educational Programming and ½ pt. in Family Partnerships for the Illinois Director Credential. CCEI’s Infant-Toddler Certificate has been approved by Gateways to Opportunity to meet 1 pt. in Health, Safety, and Well-Being, 1 pt. in Curriculum or Program Design, 1/2 pt. in Human Growth and Development, ½ pt. in Observation and Assessment for the Gateways ECE Credential OR 1 pt. in Health, Safety, and Well-Being, 1 pt. in Curriculum or Program Design, 1/2 pt. in Human Growth and Development, ½ pt. in Observation and Assessment for the Gateways Infant Toddler Credential.